"Knocked About", Verily We Are The People! April 1st. 1918. We came out of the line at night. Back to Arras. H.Q. in cellars in the Hotel de Ville, or Town Hall. Poor Arras! It is in a worse condition than ever before. All our new erections, Y.M.C.A., huts, transport lines, and canteens and officers club are no more. I salvaged a copy of Jones' "Life of R.Browning" from the wreckage of the Y.M.C.A. Library. Our quarters are damp, and they smell. There are also rats, and the place is dark. Some of the Tommies had had a good time. There has been a bit of looting of such wine cellars and estaminets as previous bombardments had left. 2nd. Walk out by Roclincourt with McElwee. 3rd. Busy in Orderly Room. Went to "Jolly Boys" Concert at night. 4th. April. Wet day. Had to go up the line to take over, but back to Arras at night. Up to H.Q. of Camerons and Gordons where I found my 'crook' (stick). Colonel Anderson had 'souvenired' it from my side, the bounder! Kept at the H.Q. until 2 a.m. on the 5th. Fed right up. Fell in shell hole. Lost my pipe and got covered all over with muck. 5th. April. Enemy opened a heavy bombardment on the back of our outpost company astride the Arras-Cambrai Road. He also hit our rear areas. He attacked on a front of about 150 yards, but did not get nearer to us than 50 yards. 'B' Coy. were in the line in front, under Jimmy Orr, with Kerr and young McElwee. Attack easily repelled. There were three killed in 'B' Coy. and several wounded at Coy. H.Q. and in the other companies. Barrage pretty heavy in the rear areas, but our artillery opened up well. Still the 5th. Out at night, laying wire. Got back tired, wet, hungry, fed up, late. Lost my way completely in utter Egyptian Darkness, the first time I have ever been lost. I walked hard with Stark across country, up and down shell holes, and through mud, and after half an hour's 'hard' landed back at the telegraph pole from which I had started. Got back somehow, had a good dinner and began to feel better. Jimmy Orr in this raid got a beautiful bullet hole in his helmet. 6th. Barging around all day and a good part of the night. Awful mud. A bit tired. 7th. More 'wind up' at 'Stand to', but it was a false alarm. Shifted H.Q. in afternoon to Devil's Wood. Busy, but got things going. Round line at night with Major Wilson. News of death from wounds of Col. Mitchell. Very grieved about it, for he was a fine, noble fellow. Had fearful cough and got little sleep. 8th. Nothing new. Relieved at night by 8/10th. Gordons. Reconnoitred the tunnels down to Arras, with several officers. They were interesting for the first 100 yards, but very boring after a mile or two, as I am rather tall for them. 9th. Back to the cellars. 10th. Easier day. Getting going again. Still 'standing to' at 5 a.m. Most damnable to have to do this when we need a rest. "Jolly Boys" at night. 11th. Work party in morning. Memorial service for Col. Mitchell in the caves. Fine summer day. Major Turner of Royal Scots to dinner at night. Boche took Bois de Boeufs from 55th. Division. Fancy!!! 12th. April. Route march with the company to Dainville in morning. Glorious day, blue skies, warm sun, mild breezes. Felt 'A.l.' and not at all warlike. In afternoon went along to a stagnant pond near the Scarpe Canal for a swim with Strathie. Enjoyed it immensely, although it is a bit early for bathing. 13th. Boche making great headway up North. A dry rot appears to have set in among some divisions. Tends to get disheartening as his gains are being obtained at small cost, as some of our fellows are not putting up the sort of fight they should. 4th. Division on our left has been taken out and sent up to Hazebrouek. Expect we will be out again soon, and sent up to another part of the line. It is all very feeding up. We don't mind fighting in the least provided others get a share! We go into line tonight to take over from the Seaforths. Left Arras at 9 p.m. and got up easily and quickly. Back in Devil's Wood again. 14th. - 18th. Usual routine of work in the line. Up late and early. Weather not so bad. Our part of the line is very interesting, and its defence, on account of Battery Valley which cuts it at an angle, is a bit of a problem. 'B' and 'C' Coys. in line till 17/18th. when 'A' and 'C' Coys. took their places. Rigged up pretty fair signalling by lamp from Coys. Lines O.K. and quite interesting. 17th. Battalion told to do a raid. Visited Canadians on our left. They are a rum lot! 19th. April. Very busy day. Round coys. in morning, fixing up for the raid. 'D' Coy. are to do it, with 2 officers and 20 men - to take and hold two battery positions one of which is known to contain three machine guns. Collected a lot of salvage wire for the show. Went to Canadians again after dinner. Then went out on patrol with Billy Irvine - along a low bank in the valley to a shell hole some 50 yards from the position we are to take in the morning. Saw Hun party in front of us, digging. So Billy went back for a Lewis gun, while I kept watch from the shell hole. Billy came back out again with a gun, and gave the Hun a good dose of stuff. Went back and got Sergeant Mitchell. Together we laid a wire out to this shell hole, so that the signallers in the party would have to run out only some 50 yards of wire. Had signal stations stations all over the place. Simply a glorious night, one of the finest of my life. Went back to Bn. H.Q. at 3 a.m. for brekker and then went forward again. The C.O. would not let me go forward with 'D' Coy. so I had to watch them from the front line. The boys went fine, and moved quickly to their objective, which was taken in three or four minutes. By the time our men had reached the gun pits there had been only machine gun fire, the enemy's barrage then began to fall, but it was not deadly. Went to dugout in front line, to which I had a wire attached, and within a few minutes we were in telephonic communication with Irvine in the captured gun-pits. C.O. thus got right through to Irvine. Lieut. Robertson of 'A' Coy. wounded shortly afterwards in moving his line forward to keep touch with Irvine. Soon Irvine phoned to me to look out for a Boche M.G. which was worrying his men. I found it. It was firing from a bare area, with no distinctive features other than shell holes. I got a compass, marked the spot carefully, calculated the map reference, and wired through to our H.Q. to get the gunners to deal with it. In ten minutes or a little more a dozen shots landed exactly where I had seen the gun with its two men. One shot, I am sure, was a direct hit, for that gun never fired again during the day. Lieut. Smith wounded. Billy Irvine took 31 men plus one officer, prisoners. We had only one or two slight casualties, except Lieut. Robinson who died. Back to H.Q. at 1 p.m. and began to feel a bit tired. Orders for relief by Seaforths to hand. Told to look after the guides for the relief. Left at 9 p.m. for the junction of Cemetery and St. Patrick's Lanes. Boche began to shell. Guides late. Seaforths arrived before time. Our S.O.S. went up at 10.06 p.m. and our guns began to reply at 10.10 p.m. I kept the Seaforths for a bit, as it looked like a counter attack on the captured gun pits, until 11.30 p.m. Went back to the Battalion at midnight instead of to a comfortable bed in Arras. At 12.30 a.m. sent up line. 21st. With a carrying party with bombs. Heavy M.G. fire down Battery Valley. Nasty job. 'C' Coy., under Hood, had their right post raided. Lt. Stewart, a fine fellow, killed in going forward to take it back. McElwee sent forward. Lt. Brown of 'A' Coy. killed and Kerr of 'B' Coy. wounded. Little progress on Boche part, except for the one post. Our casualties were 15 killed and 20 wounded, including the five officers. Very expensive this, for a day's outing. Relief completed in hopeless confusion. Back to Bn. H.Q. at 3.30 a.m. Arras at 4.45 with Stark. Bed at 6 a.m. Really tired. Wakened at 9 a.m. and told to go back again up the line to show G.O.C. 44th. Brigade round the line and to explain to him the situation. Went round the bloody line with him. Back at 2 p.m. - damned tired. Had some sandwiches and went to bed. Capt. Cook, meanwhile, went for a tub bath in the next room. We were located in a house in the town. Cook made a noise bathing and kept me from sleeping. Then a shell burst in the courtyard of our house, and another in the next courtyard. To crown all, another shell knocked over the chimney of our house, above Cook's room. We were on the top floor, and bits of mud and plaster fell on him in his bath. Gave up the sleep business in disgust. Rose and laughed at Cook and cleaned myself 3.30 p.m. By 6 p.m. we were on the march to Asnez-les-Duisans. Got there by 8.30 p.m. Not damned tired. But bloody tired! Dinner. Bed at midnight. Slept till 8 a.m. Tired still. 22nd. I had scarcely any rest or sleep for a week. Indents taken on parade. This was the date for the Divisional band to come and play to our battalion. It played "This is the End of a Perfect Day" or whatever it is, and I prayed that I would never see a day that was imperfect. While we were at dinner word came for us to be ready to embus in the morning "for God knows where"!!! Wet night. Bombardment somewhere. Went to bed early at 10 p.m.
23rd. April, 1918. What an anniversary! I remember this time last year. Rose at 3 a.m. and dealt with orders from Brigade till 6 a.m. Pretty tired still. Battalion embussed at 9 a.m. at Larisset for Marles-les-Mines. Did the embussing myself. Have got completely fed up with McClure, our second in command. He is an impertinent devil. Motored up with Prosser in column of 130 lorries through very nice country - Arg, Estré, Conché, Houdain, Marles to billets in Lozinghem (and very comfortable too!). We are in mining country now, quite different from the South and more densely populated. Wonder what is going to happen to the old Division now. Nothing good, I expect. Fixed up in billet with very obliging people. Bed at 10 p.m.
24th. Good sleep. Checked signal stores in morning. Superintended football at night. Dined at night with 'B' Coy. 25th. Visited Marles-les-Mines and Auchel, on horses, with Fred McElwee. He is not much of a rider. The Division is now in reserve to the Army, to be pushed in at any old spot. We are having a pretty fair time now. Weather not at all bad. We are very short of officers. 27th. Went up in an aeroplane in the afternoon, an F.E. 8., with J.C.Irvine, who was with me in 13th. Argylls at home. He is just out to France! Wore my kilt for the 20 minutes flight, in an open cockpit. A glorious experience and it seemed more like 20 seconds. Not worried by the height, and did not feel dizzy. Irvine to dinner at night. Heard of the death of John McIntosh. It is terribly sad for them all. Sunday 28th. April. Old Sorley has gone home. The poor chap well deserves a rest. He has done more than an ordinary man's share of the fighting and of the dirty work. 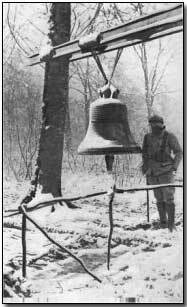 In afternoon rode out with Prosser and Orr via Fleringhems and Permes to Tangry where we had omelettes in the house we had been billeted in during our march north to Ypres last year. The good lady said she remembered me, but I am sure she did not. Monday 29th. April. 1918. Wakened up after midnight by orders for a move in the morning to Arras. I was put in charge of the advance party and left at 7 a.m. for Marles where we got two buses to take a party of 20 officers and 40 men of our division. Although I was one of the last to arrive I managed to 'snag' a place in front, before all the others. A rare morning. Proceeded in the usual way to the vicinity of Acq and of Mont St. Eloi where we reached H.Q. of the division we were to relieve. Our arrival there was the first intimation they had of their impending relief!! Ye Gods! The Staff must have been drunk last night. For sheer, downright-go-as-you-please give me the staff of the British Army. They are the limit. Here was the whole of the 15th. Scottish Division, transport, artillery, ambulances and men half way on the road to relieve another division who didn't know they were to be relieved! So we 'about turned' and came back to our billets in Lozinghem. Verily We Are The People! Have the idea just now that our intelligence staff haven't the foggiest idea where the Boche has concentrated, or where he intends to attack. Cycled to Lillers in afternoon. Found the place utterly deserted. Tea in Auchel. 30th. Brigade Major dined with us. We pulled his leg a bit, accusing him of being in love. Football in afternoon. May 1st. 1918. Battalion in training in Bois de Dames, near Lapugnoy. Got signallers going fairly well. Finished Stephen McKenna's "96 Hours Leave". 2nd. Word came for us to move South to Arras on 3rd. Felt very sorry. Dined at R.A.F. mess with Irvine. 3rd. Train at Calonng-Riquart to Acq from which latter place we had a somewhat wearying march to Arras. Roads dusty. Difficulty getting into mess owing to the Scottish Rifles being billeted there. 4th. Knocking about all morning. Went up line in afternoon for a look round. Tea with the Canadians. We take over from 16th. Bn. 1st. Canadian Division. They look good fellows. Cook going to be O.C. 'B' Coy. - Lord help 'B' Coy! McClure going up in command, as C.O. is taking a rest. Easy day on the whole. Expect resumption of Boche offensive in a day or two. 5th. Rain and heavy firing during the night. Took things easy all day. Moved off at 8.20 p.m. to relieve Canadians in Chanticler Sector. Good relief for H.Q. Coy. but late for the coys, owing to trains, of course. 6th. May 1918. 'Stand-to' at 4 a.m. Round forward companies in the morning, going over the lines. Easy time for remainder of the day. 7th. Tuesday. Rather tiring walk over the area we have to go to tonight. We only got a warning order. The executive order came at 8.55 p.m. and we had only time to read it, write our operations order, send out to companies, and get them to act upon it at 9 p.m. AND Corps H.Q. being only a mile away! Thank God we had a certain amount of foresight. Night very dark and rain falling heavily. We have to take over from 10th. Scottish Rifles, and 13th. Royal Scots. There is a mile or two of open ground, devoid of all landmarks, and criss-crossed by thousands of trenches. Our whole battalion lost its way. I left old Bn. H.Q. at 10.45 p.m. and got to the new H.Q. at 3 a.m. Poor little Hurrell, after wandering about along a trench called Effie Trench for two hours, was overheard saying to himself, from the depths of the trench "Well, I'll be damned, if I ever have a daughter, if I call her Effie." Note from RLM, 1972: This was the occasion when, in this darkness, one of our senior officers coming along the top of a trench stuffed with blaspheming troops shouted out "What's all the delay?" and from exactly below him came the reply "Cafe au lait! Cafe au lait! You bugger!" 8th. Slept from 4 a.m. till 10 a.m. Very muddy and tired but not fed up. Encountered the Brigadier and the G.O.C. Divn. outside my dugout. I was in shirt sleeves, minus tin helmet, box-respirator, and everything else, but I gave them such a cheerful "Good Morning" that they quite forgot to tick me off! Went round line in morning, knee deep in water. Back for lunch at 3 p.m., covered all over with muck, but not at all displeased with life. We might be worse off! Reconnoitring for new H.Q. in the evening. Laid a wire to our O.P. at night. 9/10th. Usual trench life. 'Wind up' on 9/l0th.as Staff expected an attack. Tea with 'C' Coy. on 10th. McClure doing damned badly as C.O. and fast losing the respect of the officers. (Note from RLM, 1972: I had quite forgotten about McClure. Perhaps I should not have written about him, but I must have felt very badly at the time about it. To erase it?). He was particularly drunk on the 10th. 11th. May. C.O. didn't rise until 12.30 p.m. Fed up with him. Being relieved by 6th. Camerons tonight. Round line as usual. Got back to cutting at midnight. Buzzing around until 4 or 5 a.m.
12th. Major Wilson now promoted Lieut. Colonel. Thank God! He is a magnificent fellow, a splendid gentleman and a born soldier. We are back in Brigade Reserve in Railway Embankment. 15th. Finding out all the troubles of a Mess President in H.Q. Mess. Out with 'B' Coy. officers for a swim in the morning. 16th. Royal Scots raided and took three prisoners. Official Information received yesterday states that the 11th. Bn. Argylls is to be absorbed by the lst/8th. Bn. Argylls who are in the 51st. Division. Everyone terribly angry. "H.Q. Officers have to go to 39th. Division, remainder, surplus to base". Think I will transfer, myself. Awful lot of swearing being done these days. This seems a most foolish move on the part of the G.H.Q. It will completely destroy the esprit de battalion of a good mob. Several other amalgamations going on too, e.g. 4/5th. Black Watch to absorb the 9th. Black Watch, and the 6th. Camerons absorbing the 7th. Camerons. 16th. Camped at Roclincourt. Swimming again. 17th. Did not do much. G.O.C. Division paid us a visit. He explained that owing to the difficulty of re-enforcing all the Scottish units, some, like our own, are to be broken up. Rumour that we are to train Americans. (British Brigades would now consist of three instead of four battalions) Glorious weather these days. 18th. Took a work party to forward area at night. Went by train! Back at 4 a.m. on 19th. 20th. Rode up to top of Vimy Ridge on "Black Nan". Had ticklish time passing our batteries which were in action along the road, as "Black Nan" got very nervous. Left horses near Canadian Monument, and went on until we saw the other side. View glorious. Simply grand - the woods around Lievin, Lens in ruins, and being shelled continuously, the grey embankment of La Coullette, the Lens-Arras Road, the brick heaps at Petit-Vimy, the railway station at Vimy, the railway, Mericourt, Acheville, Drocourt, Rouvey, Bois Bernard, Fresnoy, Arleux, Willuval, Harvus and Vitry. I have never seen a view such as this before! A complete thrill! The Farewell Dinner of the 11th. Battalion, Argyll and Sutherland Highlanders at 8 p.m. 30 at Dinner, speeches, songs, stories. Who was drunk and who wasn't? Bed at 1 a.m. Out with Signallers, H.Q. Coy. won the cleaning up competition, 5 francs per man. Up to Bois de Maison Blanche at night. Wonderful show. Enjoyed myself at "Balmorals" at night. Jove! Scotsmen are the people! Heavy bombardment of Roclincourt in morning. Heavy artillery at night. 'B' Coy. had 10 bottles and 'D' Coy. 2 bottles of whisky stolen last night. 22nd. May. General Allgood and Brigade Major to dinner. The G.O.C. is going home for a rest. Very sorry as he is a popular and efficient commander. O.C. Coys present. Fine dinner for the line! "The Cabby" (G.O.C.) very cut up at leaving. I think he always seemed to 'draw' to our battalion. Bed late. 24th. Into line at night. Shelled slightly on road up. H.Q. in Cam Valley. Battalion along left bank of Scarpe Canal. Laid wires to forward H.Q. of 'C' Coy., then took walk round the line, which runs through Fampoux. Back to H.Q. at 3.30 a.m. "No Man's Land" here is very strange, in one place it is a canal, in another it is a ruined village, while just next it is of the normal kind. 25th. 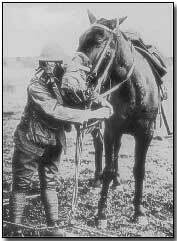 Stirton, my favourite signaller wounded. He was a fireman on a locomotive at home. He is the toughest, dirtiest little devil I've ever met, but with a heart of gold. 26th. Hun guns very active, all calibres strafing all over our areas. It looks very like a covering for a demonstration elsewhere. Cam Avenue got a bad hammering. My lines burst everywhere, but kept going by the linesmen who are fine lads. At night we laid a line by a different route to forward coys. in Fampoux. Held up for an hour in Fampoux by trench mortar and grenade strafing. We had about 5 men killed and about 20 wounded. Then we were nearly gassed at night. 27th. Back at 2.30 p.m. knocked about in afternoon. Had to stay in at night. Hell of a row at intervals. S.O.S. at 12.50 away to right. C.O. and Macleod round line. Bn. H.Q. getting a good share of the row. Wrote letters. 28th. Wire in to say that Boche's second offensive has opened in two places, one North and one South of us. In the midst of this, they, G.H.Q., propose absorbing us! Lively night, but uncomfortable. Very busy after midnight phoning Brigade, Artillery and Coys. This is a perfect life! 29th. Slept from 3 till 8 a.m. Heavy bombardment opened at 10.30 a.m. all over our area. Was out on the lines from noon till 3 p.m. with Sgt. Mitchell. We got put through it near Cam Avenue. I object to a shell bursting three yards from me, one on each side. They were gas shells, fortunately. Mitchell didn't seem to mind. Hell of a mess-up around our test boxes. Had nothing to do in afternoon, so went to the nearby artillery and fired a dozen rounds from an 18 pounder gun. General to dinner at night. 29th. Rose at 10 a.m. Tired. Read a novel. Out at night. Round coys. and back at 2 a.m.
30th. Easy day. Quiet. News from South very bad. Laid more wires. Nearly got it in the neck from M.G. fire as bullets were spurting up the ground all round us while mending 'C' Coy's lines at Dingwall Trench. 31st. Practised revolver shooting. Black Watch on our left carried out a raid, but did not get any prisoners. Trenches empty! Good policy! 1st. June 1918. Took life easy. Revolver practice. Word to effect that 1/8th. Argylls are arriving tomorrow. Good thing they have come at last. Wonder what will happen. Am really not caring very much now. One loses interest when one's friends are taken away in this manner. Relieved at night by 13th. Royal Scots. Proceeded to Stirling Camp in support. 2nd. June. Wakened at 2 a.m. by gas shells falling in and around the camp. Had to wear respirators for an hour. Took over Macleod's job, temporarily, as Adjutant, while he went with the C.O. to 'details' to fix up matters with the lst/8th. Argylls. Noisy night with us. 3rd. June. Cold day. Not much doing. Swimming in Blangy Lake with Tobermory Maclean and Brownjohn, the Bde. Signals officer. Usual work parties. Less 'bumph' in from Brigade. They must be busy with amalgamations. 4th. Conference with G.O.C.s Division and Brigade and O.C.s 11th. and 8th. Argylls to settle the question. Wonder how things will go. 5th. to 8th. Carried on as adjutant in the line. Had a fine time as Bde. were not worrying us much with 'bumph'. Round line occasionally and went for a swim in Blangy Lake. Preparations for forming the new 8th. Argylls. Hood and Prosser left on the 7th. to go to 39th. Division to train Americans. 8th. June 11 p.m. About 6 officers and 24 men of the Royal Scots blew up on us as an advance party, and pretty nearly swamped us. Got them fixed up, however. 9th. Bombardment for Cameron's patrol. 2 a.m. to 2.30 a.m. Boche raid near "The Snout", an old advanced coy. H.Q. near Camel Cross Roads. Heavy artillery strafe on both sides till 3.30 a.m. Then gas drifted over on to us 3.30 to 4.30 a.m. Heavy strafe near the embankment. About 400 shells, 5.9" and 8 inch, fell in half an hour at 8.30 a.m. Fine easy day. Relieved at night by 9th. R.S.F. 10th. Back to Wakefield Camp at 2 a.m. and bed at 3 a.m.
AND HERE ENDS THE HISTORY OF THE 11th. SERVICE BATTALION OF THE ARGYLL AND SUTHERLAND HIGHLANDERS. 10th. JUNE, 1918. DIARY WHILE SERVING WITH THE 1st/8th. (T.F.) BN. ARGYLL AND SUTHERLAND HIGHLANDERS. 10th. June, 1918. Lieut. Colonel G.L.Wilson is to command the new Battalion. That is the G.O.C. Division's choice. About 2 p.m. nearly 400 of the 11th. Bn. Argylls set out for 'details' camp in order to make room for an equal number of the 1st/8th. who were remaining to form the new battalion. It was terribly sad to see fellows - old 11th. men with whom one had been so long associated, marching away from us. Poor old Sergeant Donachie, who had cooked practically every meal which the battalion had ever had, was particularly cut up. Capt. McIntosh, who used to be in the 13th. Bn. has now arrived. We will see what he can do. About 4 p.m. the lst/8th. began to roll up. The C.O., Colonel Wilson, made the remaining old 11th. fall in on the ranks of the lst/8th. to show the new arrivals, that from now on, the Battalion was 8th. ARGYLLS, and that the old 11th. was dead. A fine, understanding gesture. It was a splendid gesture, and well worthy of the man, for it showed that he, at any rate, was burying prejudices and accepting the situation. The lst/8th. men look good and fit. Most of the officers, however, are new to the lst/8th., and new to France, though there are a number of senior lieutenants some of whom have a great deal of hard service to their credit. Don't know how I will stand for seniority amongst them. 11th. June. Getting settled down. Up line in afternoon, reconnoitring with new officers. 12th. Knocking around, cleaning up. Amalgamation is a complicated proceeding. Am quite pleased at the moment to be staying on in the line. 13th. Took signallers up to Vimy Ridge for map reading. In evening had a grand ride to Maroeuil with O.C.s Coys. to Counter Battery Office there. Rode all out. Champagne afterwards. Met Robertson, late 13th. Bn.Signallers. A good ride, home at the gallop. Sing-song at night. 14th. Signals in the morning. Work with contact aeroplane. Aeroplane late as usual. Things are working very smoothly just now in the battalion. All ranks pulling together, and there have been no quarrels or fights such as the Black Watch - not altogether without cause - had on their amalgamation. Expect we will have a very good battalion ere long. It is rather difficult to catch and keep up the 8th. spirit, for, after all, my heart was with the 11th. 15th. General inspection. Rode to Vimy Ridge near Souchy and Givenchy with Capt. Pollock (later at the University with me). Wonderful view again. Dined with 'C' Coy. 16th. Church. I stayed in camp in the afternoon as O.C. Bn. as the C.O. and O.C.s Coys. were all out reconnoitring. 17th. Up the line again at night. Had heavy weights to carry. Relief not complete until 1.30 a.m.
18th. Round the line. Busy. 19th. Busy day. About 2 or 3 p.m. going round the front line as usual, I began to feel wobbly all over and it was only with the greatest difficulty I could get back to H.Q. Went into the beastly dugout where we slept. Did without meals. Got sick. Then a temperature. I had to go down the line next night, absolutely and completely limp and useless. Trench fever. For the first time, I couldn't see any humour in life. Could scarcely get down as far as the dressing station. Have never experienced such complete weakness before. Got into an ambulance. 21st. Wretched journey to 33rd. Casualty Clearing Station at Ligny, near St. Pol. Heavy rain. Arrived late, and after passing through what seemed dozens of receiving and other rooms, and turning and tripping over hundreds of duckboards at last reached a tent or ward where we were to be put up. About 2 a.m. with the arrival of two nursing sisters, though still very tired and far from well, and with a temperature well over 100, I began to see the humour of it. From that time began to get better. Got into bed somehow. 22nd. Tried stout for lunch. At 10 p.m. had stout and strawberries and cream given me (after it was dark) by two of the sisters. God bless them! "P.U.O." seems rather a good illness. (Pyrexia of unknown origin, an army classification). There are 12,000 cases of it just now in the First Army. Very cheery, but terribly weak in the back. Read some novels. McDougall of the lst/8th. is in the bed next to mine. R.K.Drummond of the Camerons is in the bed opposite. Hospital crowded out. 23rd. and 24th. Up each day for an hour. 25th. Up all afternoon. Good day. My pins still wobbly. 26th. Went to St. Pol for an hour. Am beginning to pull round. 27th. Fed up with doing nothing, want to get back to the battalion. 28th. Motored to Avesnes and Augibny. 29th. Went to Le Quesnoy where the 11th. rested last year before going into the line at Ypres Salient. Revisited my old billet. Found that the curé had died. Motored back. Met manager of one of the mines at Mazingarbe. Got into his car. He appeared decent but I loath foreigners.